Posted by admin on June 11, 2013 in Uncategorized and tagged literature, Poet, Poetry, Romance, Romantic. I hate you much it makes me sick; it even makes me rhyme. I hate it, I hate the way you’re always right. I hate it when you lie. I hate when you make me laugh, even worse when you make me cry. I hate it that you’re not around, and the fact that you didn’t call. Posted by admin on June 8, 2013 in Uncategorized and tagged 10 things i hate about you. Posted by admin on May 17, 2013 in English, Learning English, Look Ahead videos, Videos and tagged Getting around the town, Look ahead, Look Ahead BBC. 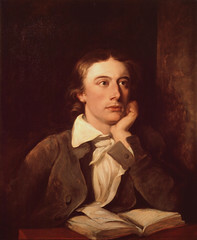 Posted by admin on May 13, 2013 in John Keats, Literature, Poetry and tagged John Keats, literature, Poetry, When I have Fears that I may Cease to Be. Like his other early poems — “Sir Lancelot and Queen Guinevere” and “Galahad” — the poem recasts Arthurian subject matter loosely based on medieval sources. Posted by admin on May 11, 2013 in Alfred, Literature, Lord Tennyson, Videos and tagged Alfred, Alfred Lord Tennyson, literature, Lord Tennyson, The Lady of Shalott.